This book offers reflections on how liberation might be experienced by clients as a result of the therapeutic relationship. 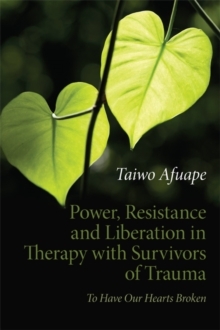 It explores how power and resistance might be most effectively and ethically understood and utilised in clinical practice with survivors of trauma. 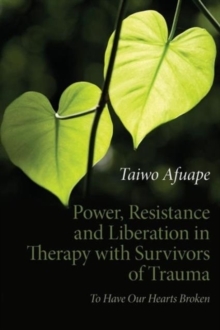 Power, Resistance and Liberation in Therapy with Survivors of Trauma draws together narrative therapy, Coordinated Management of Meaning (CMM) and liberation psychology approaches. It critically reviews each approach and demonstrates what each contributes to the other as well as how to draw them together in a coherent way. The book presents:an original take on CMM through the lenses of power and resistance a new way of thinking about resistance in life and therapy, using the metaphor of creativitynumerous case examples to support strong theory-practice links. 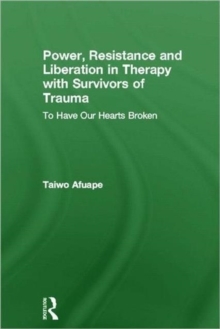 Through the exploration of power, resistance and liberation in therapy, this book presents innovative ways of conceptualising these issues. As such it will be of interest to anyone in the mental health fields of therapy, counselling, social work or critical psychology, regardless of their preferred model. It will also appeal to those interested in a socio-political contextual analysis of complex human experience.